Do you get anxious before or during your dentist visit? At Bayview Village Dental Associates, we believe it is an important part of our job to make our patients feel comfortable, relaxed and fear-free before, during and after their dental treatment. 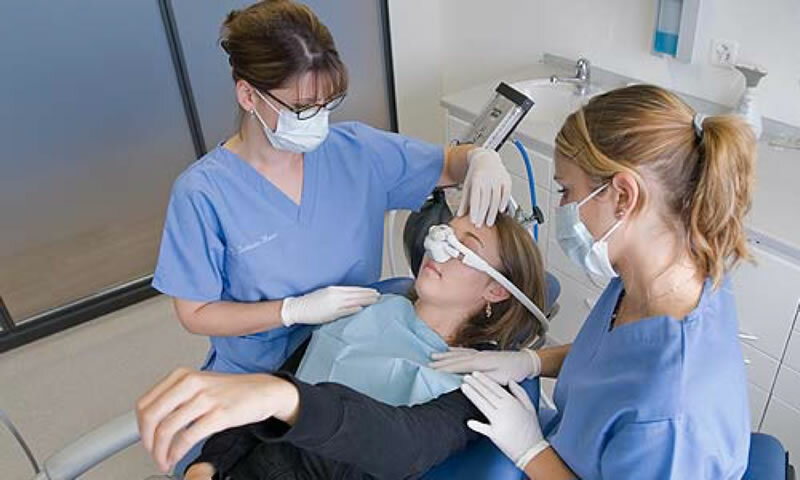 We take all measures to create the most soothing atmosphere that would help you overcome your dental anxiety, starting with offering you the option of sedation dentistry. Nitrous Oxide Sedation, also known as laughing gas, is inhaled through a nasal mask and can be used for patients of all ages. This gas places you in a deeply relaxed state, where you don’t feel pain and can’t keep track of time, but it does leave you conscious enough to respond to the doctor’s questions and commands. Conscious sedation helps you get the most efficient treatment with the least to no discomfort at all. Contact the team at Bayview Village Dental today, and receive the dental care you deserve!